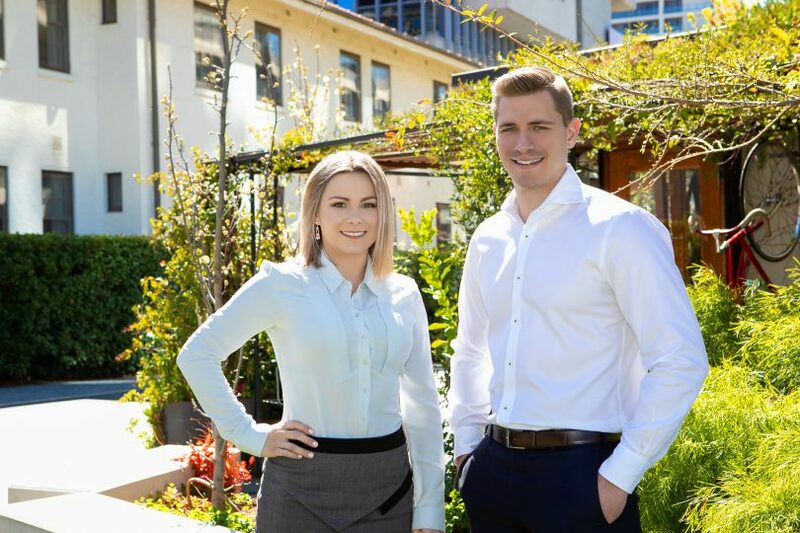 Natalie Kokic Schmidt and Jason Anasson form a dynamite team at McGrath Belconnen/Gungahlin. Photos: Supplied. Life is good for Jason Anasson and Natalie Kokic Schmidt. They’ve been together for 14 years (since high school), love living in Canberra, adore their two Staffies and share professional lives in the competitive and fast-moving world of real estate. Jason and Natalie both work for McGrath Belconnen/Gungahlin here in the capital and are 100 per cent committed to delivering premium outcomes for clients. But what’s it like to share professional and personal lives? Is it good for business? Without skipping a beat, this dynamic duo say it works well for them, but there are rules in place. It was a natural progression that led Jason and Natalie to work at McGrath Belconnen/Gungahlin. Natalie had been working in the industry for many years, at a boutique real estate agency in Canberra. Jason was a painter by trade. Looking for a change but loving the industry, Natalie discovered McGrath and was attracted to the quality of their marketing, approach and culture. She was impressed by the number of women working across the McGrath family. She then met one of the directors, Justin Taylor, at a function and was inspired to make the move. 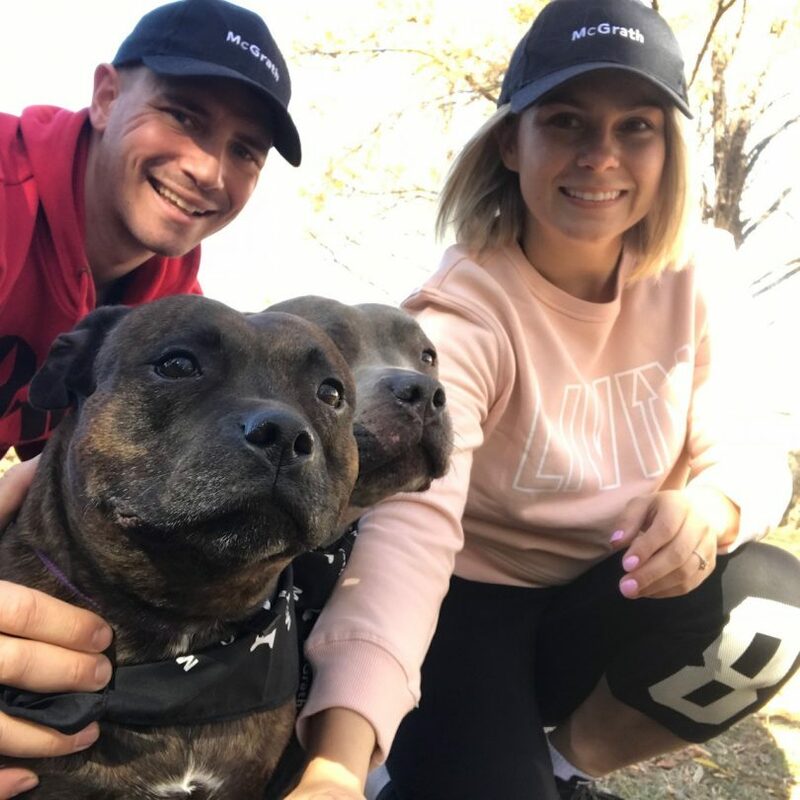 Loving Canberra: Jason and Natalie with their two Staffies, Manny and Cleo. Natalie’s passion for real estate has always been palpable and when she decided to switch companies, Jason seized the opportunity to enter the industry and form a team with Natalie. The two work together on established clients. Beyond that, Natalie tends to focus more on the vendor side of the real estate equation and Jason on buyers and new developments. Every day is a new day for Natalie and Jason who never waiver in the quality of their operations and services, especially important, they say, in a crowded and competitive market. Real estate is a busy profession and there’s never a dull moment for Natalie and Jason. There are many sunshine moments, like the days when the couple gets to inform a client that they’ve sold a property, which means they can transition to the next stage of their life.